Annual winter weekend allows residents and non-residents to fish without a license. In addition, during #MiFreeFishingWeekend, the Department of Natural Resources will waive the regular Recreation Passport entry fee that grants vehicle access to Michigan’s 103 state parks and recreation areas. Several locations also may be hosting official 2018 Winter Free Fishing Weekend events that are perfect for the whole family. 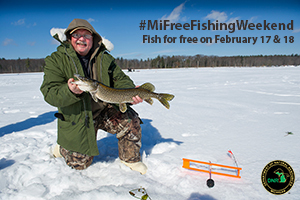 Michigan has been celebrating winter’s #MiFreeFishingWeekend every year since 1994 as a way to promote awareness of the state's vast aquatic resources. With more than 3,000 miles of Great Lakes shoreline, tens of thousands of miles of rivers and streams, and 11,000 inland lakes, Michigan and fishing are a perfect match. 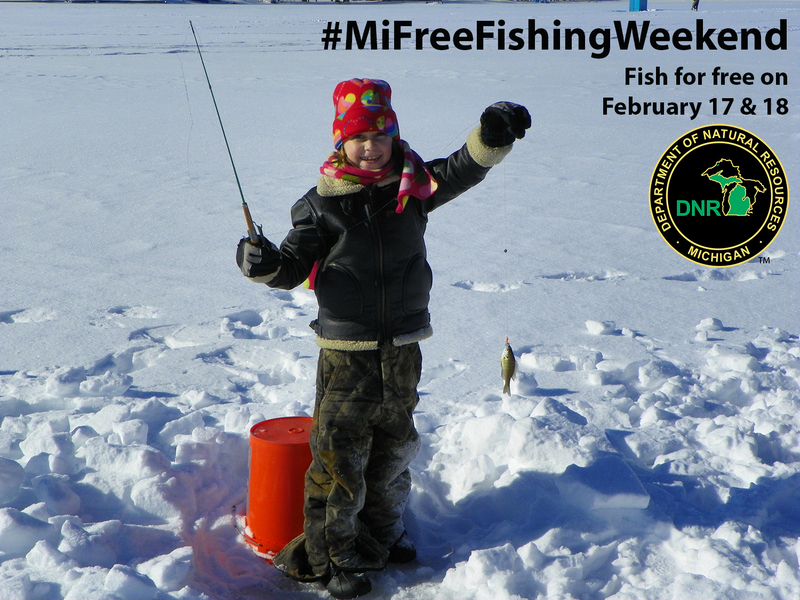 Official winter #MiFreeFishingWeekend activities are being scheduled in communities across the state to assist with public participation. These activities are coordinated by a variety of organizations, including constituent groups, schools, local and state parks, businesses and others. A full list of these events can be found online at michigan.gov/freefishing. /Editor's note: Accompanying photos are available below for download. Suggested photo captions follow. 2018WinterFFW-promo1.jpg – Michigan offers outstanding winter fishing. 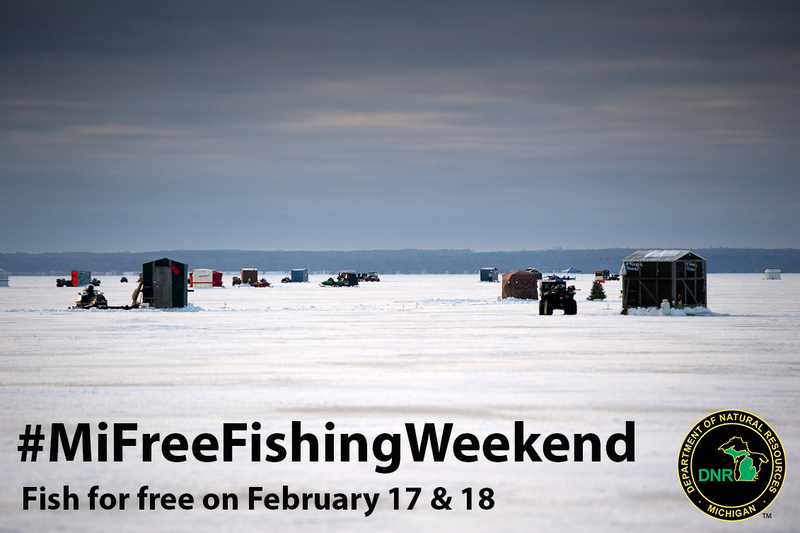 Consider experiencing it yourself during the 2018 Winter Free Fishing Weekend Feb. 17-18. 2018WinterFFW-promo2.jpg – Enjoy Michigan's winter wonderland during the 2018 Winter Free Fishing Weekend Feb. 17-18.